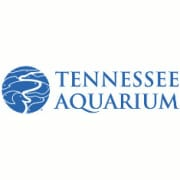 The Tennessee Aquarium is a non-profit corporation dedicated to connect people with nature and empower them to make informed decisions about water and wildlife. We are a non-profit freshwater aquarium dedicated to freshwater ecosystems, the Tennessee Aquarium focuses primarily on the Tennessee River and related systems. Since opening its doors in 1992, the Tennessee Aquarium has played a crucial role in Chattanooga’s economic development efforts and has become a nationally acclaimed attraction. Within our two buildings, you’ll trace the path of water from the mountains to the sea. Come face-to-face with the fascinating native animals that live in our backyards and the amazing creatures that thrive in some of the most remote locations on Earth. Tennessee Aquarium accepts donations. Donate Now. Would you recommend Tennessee Aquarium?